Am I the only one who feels vaguely bothered by sequels that make no attempt to connect to their predecessors? These instances don’t happen frequently, but they do pop up on occasion. That said, I admit I wracked my little brain but couldn’t think of too many examples of such movies. 1990’s Predator 2 lacks much direct connection to 1987’s Predator, but there’s some continuity between them above and beyond antagonists of the same species. From what I understand, it sounds like 1997’s Home Alone 3 has nothing to directly connect it to the first two pictures, but since I never saw it, I can’t state this with certainty. However, I do know that 1986’s House and 1987’s House II: The Second Story have nothing to do with each other in regard to their characters, locations, or other film-based elements. Many of the same people who put together the first flick worked on the second, but none of the actors reprise their roles. Though a few bit actors played different parts, none of the main characters came back for the sequel, and the events depicted have virtually nothing to do with each other except for the fact that they both relate to mystical houses. Even the titular residence differed between flicks, as the sequel took place at an abode not seen in the first movie. However, I must admit that my indignation sagged as I watched House II, all for one simple reason: I liked it more than I enjoyed the initial film. I found the latter to offer an awkward combination of scares and laughs that worked in neither mode. 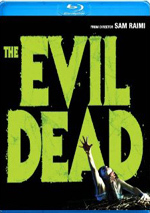 The sequel goes with a much lighter theme and it presents a more satisfying experience. At the start of House II, we see a baby who’s taken away from his parents. Eventually, we meet the grown-up version of that tot, as Jesse (Arye Gross) inherits the home in which the parents he barely knew lived. Jesse moves in and brings along his record executive girlfriend Kate (Lar Park-Lincoln). Some odd things occur, but nothing terribly exciting takes place. Eventually Jesse’s opportunistic friend Charlie (Jonathan Stark) enters the picture along with Charlie’s Madonna-wannabe girlfriend Jana (Amy Yasbeck). Eventually we see more of a mysterious figure from the film’s flashback sequences, as a nasty dude comes after “the skull”. Jesse finds some material that relates to this and decides to dig up the great-great-grandfather (Royal Dano) after whom he was named. To their surprise, Jesse and Charlie discover that Gramps - as he prefers to be called - wasn’t really dead, as a strange crystal skull kept him in a state of zombie-hood. It’s a silly and thin plot, but it makes much better sense in this kind of framework than did the psychodrama witnessed during House. The events of the latter felt far too serious to fit a light comic setting, whereas House II never attempts to be anything more than a romp. The sequel boasts virtually no pretensions to depth or drama, which may sound like a criticism, but the film really works better because it lacks much substance. One doesn’t go to this sort of flick for an intricate experience, as the genre’s fans want to see some fun and get a few cheap thrills and that’s about it. In that regard, House II becomes moderately enjoyable, though I have to note that it often can be a cinematic mess. The film marked director Ethan Wiley’s first turn behind the camera, and his inexperience really shows. I don’t dissect framing and editing as I watch movies, but the work in House II is so poor that I can’t help but notice it. We find many examples when the camera focuses on the wrong parts of the image, and many others progress in an illogical manner that drains them of effectiveness. House II delivers a somewhat poorly-made film in that regard. Nonetheless, I still think House II provides a moderately enjoyable experience. I didn’t much like the first one, so to say that I prefer House II doesn’t say a lot. Still, for all its flaws - and it has many - the movie becomes a breezy and lightly entertaining piece that accomplishes some of its goals. I’ve seen many better flicks, but I’ve also seen many worse. House II: The Second Story appears in an aspect ratio of approximately 1.85:1 on this Blu-ray Disc. Overall, the image held up fairly well. General sharpness was fine. Though some softness impacted the occasional wide shot, the majority of the film boasted nice clarity and accuracy. I saw no signs of jaggies or moiré effects, and edge haloes seemed absent. Print flaws also didn’t disturb the presentation. As with the first film, House II featured a fairly subdued palette, but the colors appeared to be acceptably concise and vivid. They showed some of the flatness typical of 1980s stocks but still offered reasonable pep. Black levels seemed to be fairly deep and solid, and shadow detail was opaque without heaviness. Low-light situations looked good, as they appeared appropriately defined but not excessively thick. Though it showed its age, the image still worked pretty well. Like the Blu-ray for House, this release of House II came with a remixed DTS-HD MA 5.1 soundtrack. Like the 5.1 audio for House, the multichannel House II failed to do much with the material. This left us with another lackluster soundfield that qualified as “glorified mono”. Though elements spread to the side and rear speakers, they did so without obvious localization or clarity. That meant a certain mushiness to the soundscape. Music and effects used the different channels to form an ill-defined sonic impression that failed to connect with a natural sense of environment or action. Audio quality seemed dated but decent. Music lacked great range but showed reasonable punch, and effects fell into the same category. Those elements gave us acceptably clear material, even if they lacked much low-end. Speech worked fine. The lines could be a bit distant and thin, but they remained fairly natural and concise. This seemed like a mediocre track that didn’t take advantage of its multichannel possibilities. The Blu-ray also included the original PCM monaural soundtrack, and I preferred it to the 5.1 remix. Without the unconvincing use of the side/rear channels, the audio felt more focused, and the sound came across as a little more natural and defined. The mono mix offered the superior option. As noted, the multichannel track didn’t work very well, so it didn’t add a plus to the Blu-ray. However, the Blu-ray’s lossless mono mix topped the DVD’s audio in a number of ways. Visuals also worked better. The Blu-ray looked richer, tighter and cleaner than the DVD. That made it a good step up in quality. 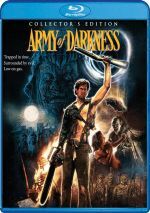 The Blu-ray mixes old and new extras, and these start with the DVD’s audio commentary from director Ethan Wiley and producer Sean S. Cunningham. Both men sit together for this running, occasionally screen-specific track. Wiley dominates the proceedings during this spotty but periodically interesting piece. As occurred withHouse’s commentary, this one includes a fair number of blank spots. Quite a few moments pass without discussion, though these didn’t seem to be overwhelming. Actually, though the track for the first film suffers from a roughly similar number of gaps, they seem less bothersome here, mainly because House II’s commentary features half as many participants. House has four speakers, so it has less reason to go silent at times. Their statements occasionally stick with screen-specific topics, but they often veer off into tangential information. For example, we hear some stories about Wiley’s relationship with actor Royal Dano, and there’s also coverage of his career and other issues. Personally, I like these sorts of tracks that don’t just tell me basic facts about the shoot, but I know this kind of free-form piece irritates some folks. Overall, the commentary for House II seems fairly mediocre, but it offers enough interesting notes to merit a listen. By the way, the pair provide some misinformation during the track. For one, they relate that John Ratzenberger appeared in Star Wars as a rebel pilot during the attack on the Death Star. That’s not correct; he actually played a character briefly seen during theThe Empire Strikes Back. New to the Blu-ray, a documentary called It’s Getting Weirder lasts 57 minutes, 38 seconds. The show includes remarks from Cunningham, Wiley, House story creator Fred Dekker, composer Harry Manfredini, makeup/creature effects designer Chris Walas, makeup/creature effects Mike Smithson, stop motion animator Randal Dutra, visual effects supervisor Hoyt Yeatman, stunt coordinator Kane Hodder, and actors Arye Gross, Jonathan Stark, Devin DeVasquez and Lar Park-Lincoln. “Weirder” discusses the project’s development and challenges related to the sequel, story/characters, creature design and effects, cast and performances, sets and locations, stunts, music, and the film’s legacy. “Weirder” comes with a good mix of thoughts and turns into an effective look at the production. By the way, I guess Wiley doesn’t read my reviews, as 15 years after I discussed the DVD commentary, he still claims DeVasquez was Playmate of the Year. Fake news! A Vintage EPK lasts 14 minutes, 38 seconds and features Cunningham, Gross, Wiley, and actors John Ratzenberger and Royal Dano. It offers a promotional look at the film that gives us little substance, though Ratzenberger provides some funny remarks. In addition to the film’s trailer and a TV spot, we get a Still Gallery. It presents a running montage of 69 images that fills six minutes, 14 seconds. We get a mix of production photos, behind the scenes stills and advertising elements that add up to a decent collection. While House II: The Second Story doesn’t greatly outdo its predecessor, I find it to offer a more satisfying combination of horror and comedy. The movie maintains a lighter tone that better achieves what the filmmakers set out to do. The Blu-ray offers largely good picture along with adequate audio and a few informative supplements. Fans will like this Blu-ray upgrade. 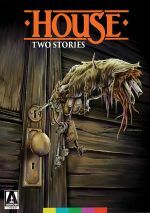 Note that as of April 2017, the House II Blu-ray can be purchased only as part of House: Two Stories. This also includes House and the “Companion” book.